In October 2000 a reflecting eye led Pieter Venter to investigate. “I was surprised to see three weird, freaky looking motionless fish hovering under an overhang at 106m, which I believed to be the elusive coelacanth.” In November 2000 I was back armed with cameras. 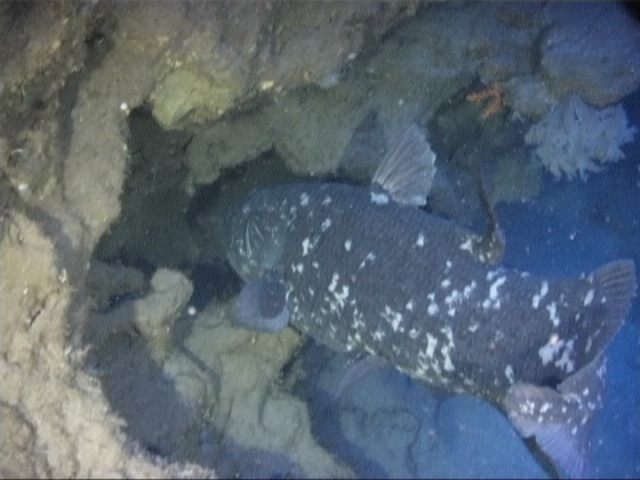 Chris Serfontein and Denis Harding filmed three Coelacanths but tragically Denis lost his life. The loss of life and the filming of the first coelacanths by SCUBA divers in their natural habitat was covered in the Divestyle January/February 2001. The events followed in a chaotic blur. On the one side is the excitement and consequences of our discovery and on the other the tragic accident of Dennis and its consequences. Through all this we organized a further expedition for May 2001. The main obstacles were to get the necessary permission and to execute safe dives. In the light of Nuno’s flawless track record despite doing incredibly complicated extreme dives I asked Nuno to be our dive leader. www.coelacanth-diver.co.za Thankfully he was intrigued by the discovery of the coelacanth and he agreed. Craig Kahn, Nuno’s deep support diver in his world record dive, also agreed to be our safety officer. All the divers were CMAS -SAUU qualified divers. We decided to standardize everybody’s equipment, an expensive, but wise exercise indeed. The dive plan and procedures were defined and further training was done. 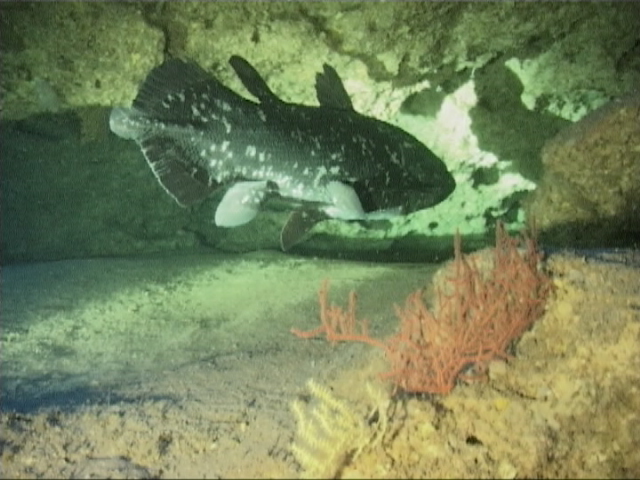 This was the basis for the success of the May 2001 Coelacanth Expedition.